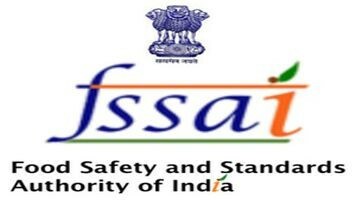 Food Safety and Standards Authority announced to spend Rs482 crore for opening of new food testing labs. This budget is at present for the 7 States/UTs, namely, Goa, Delhi, Karnataka, Kerala, Madhya Pradesh, Tamil Nadu and Punjab. Other state wills consider latterly. This decision is taken by Food Safety and Standards Authority because of Bombay High Court decision in which court said that there is need of more food testing labs as quality of packed food is dropping in India and this is not good for health. Court give this order when in 2015 court found monosodium glutamate, and lead in excess in Maggi Noodle and after that court banned on this product. Food Safety and Standards Authority take this decision so that quality of food gets improved. In this Rs482 crore FSSA plan to open 45 food testing laboratories all over the India and plan to upgrade th them so that they enable them to get hold of NABL accreditation. After the decision of opening new food testing laboratories the standard of packed food is increase. And food that is not good for health will be banned by them. Indian one of the promising developing countries in the world faces huge threat in name of food safety. It is mandatory for Indian government to take such strong initiatives to provide better safety for food distributions in India, especially in packed foods. With the steps taken by FSSAI there’s no doubt that, when this entire new food testing lab starts working, it will surely improve the food standard in India. Also experts across the country suggest strong law enforcement should be introduced to should be implemented on those who possess real threat to food safety.